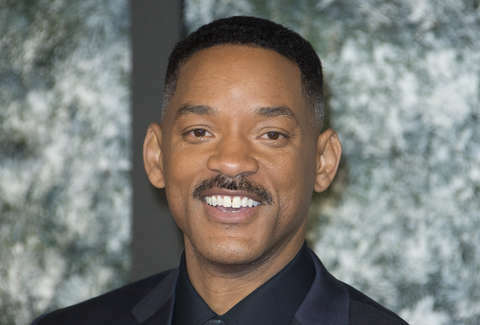 Will Smith recently bungee jumped at Victoria Falls. That itself shouldn't be notable. He filmed the whole thing on a GoPro and it's been shared over and over. It's still not that notable. But, oh god, what happened to Smith in the middle of the jump? Is this an elaborate teaser for an oddly cast reboot of The Fresh Prince of Bel-Air? OK. It's not a teaser, but in the middle of the jump, there's a moment where Smith looks exactly like Uncle Phil (James Avery, who passed away in 2013) from Fresh Prince. Naturally, someone captured that exact moment and shared it. Any fan of the show will need all of a half second to see the eerie resemblance. Since the screengrab was posted to Imgur, it's had nearly a half million views and has been shared countless more times on social media. If the screengrab's popularity on Twitter has proven anything, it's that this isn't simply a resemblance found in one picture of Avery. Any picture of Uncle Phil looks like Smith bungee jumping. Now that Netflix has broken the Will Smith seal with Bright, how long until they try a Fresh Prince reboot? They could either start fresh with Smith as Uncle Phil or do it Fuller House-style where young Smith's nightmares are realized as he grows up to become just like Uncle Phil. Make it happen, Netflix.